Those who have to travel a lot know the pain of choosing the right things for the trip. Specially those who are like me, a bit concerned about their skin and hair, should know what I am talking about. But, there are brands who knows our pain and they come up with specialized travel kits, where every required product is there. 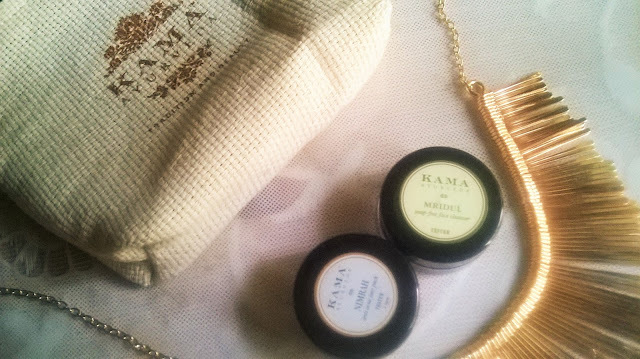 One such kit is from Kama Ayurveda. Intensive Hair Treatment Bringadi: This is your scope of taking the best of hair care with you even while travelling. 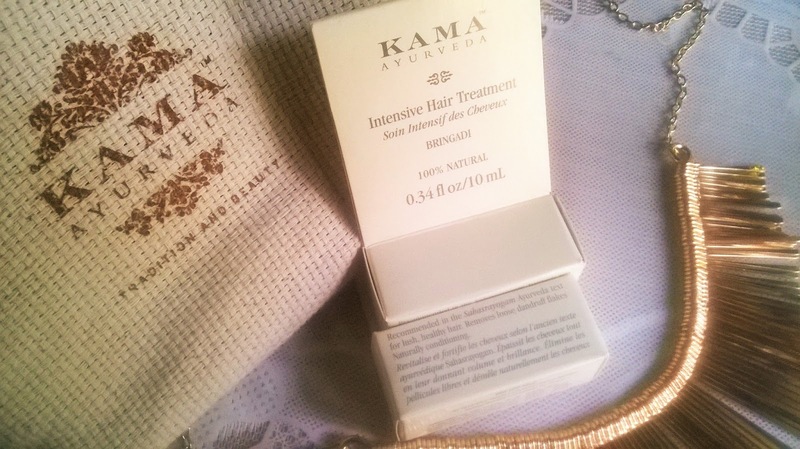 This treatment hair oil, not only relaxes you after your travel, but also helps you maintain your luscious tresses. 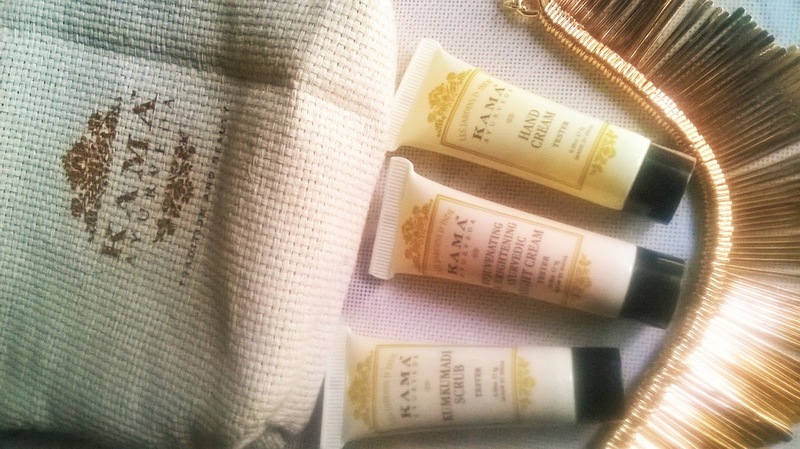 Kumkumadi Scrub, Brightening and Rejuvenating Night Cream & Hand Cream: These 3 tubes are sheer bliss for the skincare junkies out there!! The Kumkumadi scrub, one of Kama's cult hits will make sure to exfoliate and remove dead cells, while the night cream will restore youthfulness and vitality of the skin and the handcream protects tired hands. Mridul Face Cleanser & Face Pack: A powder cleanser and a great face pack are just what you need to complete your skin care regime. Both of these are extremely gentle for the skin and deep cleanses to give a radiant skin. 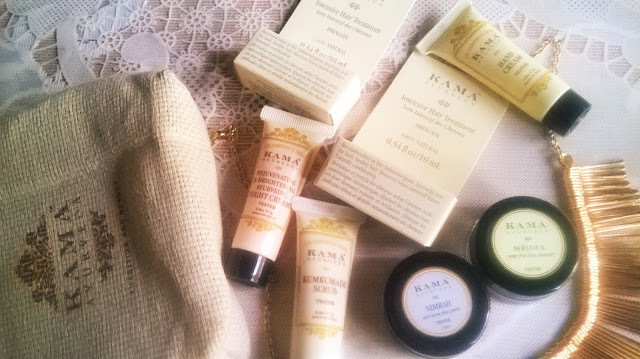 This Travel kit from Kama Ayurveda has all the night time essentials and can get you ready for a good night and wake up to a brighter and youthful morning.